Are you looking for people to be able to access you easier? Have you had a promotion and want to update your title? Have a new headshot and want to show it off? 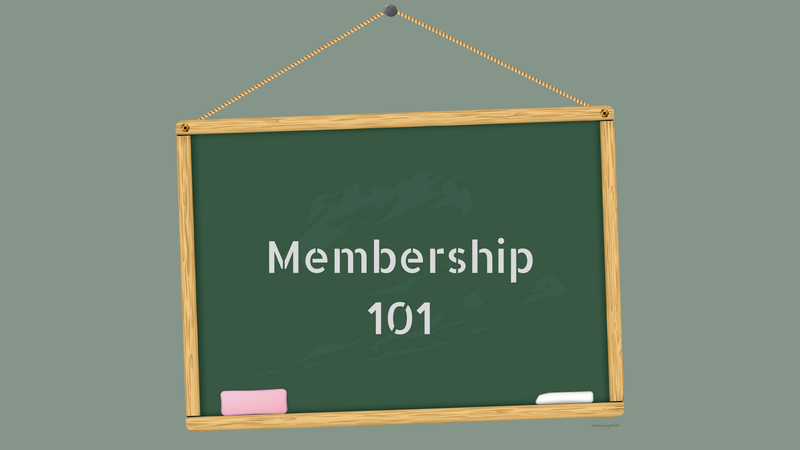 This Membership 101 article is going to dive into how to update all your personal information within the Member Information Hub. Let's get started. When you log in to the Member Information Hub with your username and password at wilkes-barre.org/login, you'll be greeted with the home screen that has access to all the menu options and social feed. If you look to the left "Shortcuts" menu, you will see a menu option for "Personal Information", click here to open up options to update your personal information. The first tab that will load under "Personal Information" will be your profile information. Here is where you can change items such as your prefix, first and last name, title, address, phone numbers, and email addresses. Scrolling down, you will find an option to add a biography about yourself. This section is a great way to keep your information up-to-date so that people know the best way to contact you and add a little about yourself for people to connect with you on. When you are finished adding all relevant information, click the button at the bottom of the page that says "Save Changes" to lock in any changes you made. Once your password meets that criteria, you must re-enter your new password in the "Confirm Password" field and then click the "Save Changes" button that should now have appeared underneath the "Confirm Password" field. To add a headshot to your profile, go back to the left menu and click on the "Photo" button. This will open a page with a box that has a trash can icon and a + icon underneath it. If you had a headshot already in place and would like to change it, click the trash icon first to remove the current photo and then click the + icon to upload your new headshot. If you do not have a headshot currently uploaded, click the + icon to upload your headshot. After adjusting it to fit the frame, click the "Save Changes" button near the top of the page to finish uploading your headshot. This section allows you to select what information you are interested in hearing about in our newsletters. To access it, click on the "Groups/Interests" button on the left menu. A page will load with a variety of topics that we cover in our ElevateGWB newsletter. Click the check box next to the information you are interested and then click the "Save Changes" button near the bottom of the page. In the future, we will be using this information to send you only the information you are interested in hearing about. If you are interested in connecting with people through other social platforms, this section covers how to add your social media profiles to your Member Information Hub profile. To be able to add your social media accounts, go to the left menu and click the "Social Networks" button. A page will load with the current supported social media platforms. Current supported platforms are LinkedIn, Facebook, Twitter, YouTube, Pinterest, Instagram, and GooglePlus (Note: GooglePlus will likely be removed soon due to Google shutting down the public profile side of the platform and only retaining business accounts). To link to your account, simply type in the URL of your profile for the related platform. You can verify your url to make sure it links to the correct spot by clicking the "Verify URL" hyperlink. Once you have added all the social media accounts you would like, click the "Save Changes" button at the bottom of the page to lock in your updates. Display preferences determine what information about you is available to be seen. You can select for the information to be public (anyone who visits our website can find), visible to members (the information can only be seen by logging in to the Member Information Hub), or hidden (only you are able to see the information). To make the information hidden, simply leave the checkboxes under "Public" and "Members" unchecked to keep it hidden next to the appropriate fields. Once you select what information you would like public, available to other members only, and hidden, click the "Save Changes" button near the bottom of the page to lock in your changes. You can link your Member Information Hub Accounts to other services such as Facebook, Gmail, Twitter, and LinkedIn. This allows you to log in using those accounts as long as you are already logged into them. To link your accounts, go to the left menu and click on the "Linked Accounts" button. This will open up a page that allows you to connect your accounts. If you already have accounts linked, this will appear near the top of the page with an option to unlink them if you choose to do so. To add a linked account, select the appropriate icon under the "Select a Provider" section. This will open an option to approve access to the appropriate account (Ex. Granting access to access your Facebook account to login). Changes here are applied automatically with no need to click a save button. This covers all the information on how to update your personal information. If you are ever stuck in a section or running into problems, you can always reach out to Ben Eaton for help. He can be reached at (570) 408-1728 or ben.eaton@wilkes-barre.org. Check back next month when we go over how to update your company information.